Leading Exporter of high temperature textiles cloth, fire retardant fabric, flame resistant fabric, glass cloth, heat resistant fabrics and cloth duct tape from Ahmedabad. 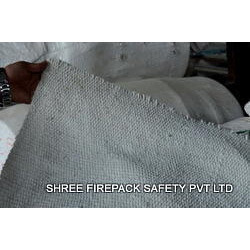 Shree firepack safety pvt ltd specializes in offering qualitative range of High Temperature Textiles. Also our range of product include like yarn, ropes,cloth,webbing tapes,fire blanket,aprons,suits,welding blanket,coated & uncoated fabrics made of asbestos,non asbestos material like glass fiber,cermaic fiber & silica. 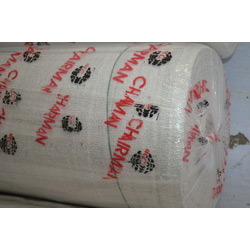 We are a prominent Fire Retardant Fabric manufacturer and supplier based in India. 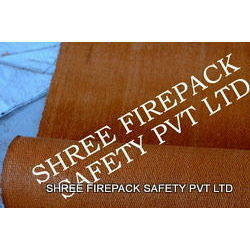 Shree firepack safety pvt ltd specializes in offering qualitative range of Fire Retardant Fabric. Also our range of product include like yarn, ropes,cloth,webbing tapes,fire blanket,aprons,suits,welding blanket,coated & uncoated fabrics made of asbestos,non asbestos material like glass fiber,cermaic fiber & silica. 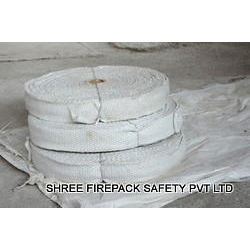 Shree firepack safety pvt ltd specializes in offering qualitative range of Flame Resistant Fabric. Also our range of product include like yarn, ropes,cloth,webbing tapes,fire blanket,aprons,suits,welding blanket,coated & uncoated fabrics made of asbestos,non asbestos material like glass fiber,cermaic fiber & silica. We are a prominent Glass Cloth manufacturer and supplier based in India. 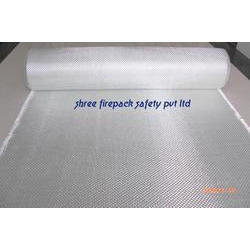 Shree firepack safety pvt ltd specializes in offering qualitative range of Glass Cloth. Also our range of product include like yarn, ropes,cloth,webbing tapes,fire blanket,aprons,suits,welding blanket,coated & uncoated fabrics made of asbestos,non asbestos material like glass fiber,cermaic fiber & silica. 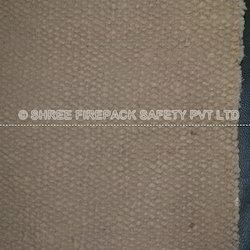 Shree firepack safety pvt ltd specializes in offering qualitative range of Heat Resistant Fabrics. Also our range of product include like yarn, ropes,cloth,webbing tapes,fire blanket,aprons,suits,welding blanket,coated & uncoated fabrics made of asbestos,non asbestos material like glass fiber,cermaic fiber & silica. We are a prominent Cloth Duct Tape manufacturer and supplier based in India. Shree firepack safety pvt ltd specializes in offering qualitative range of Cloth Duct Tape. Also our range of product include like yarn, ropes,cloth,webbing tapes,fire blanket,aprons,suits,welding blanket,coated & uncoated fabrics made of asbestos,non asbestos material like glass fiber,cermaic fiber & silica. 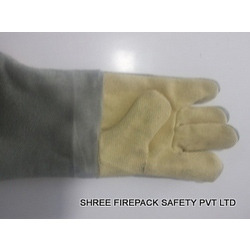 Shree firepack safety pvt ltd specializes in offering qualitative range of Insulated Gloves. Also our range of product include like yarn, ropes,cloth,webbing tapes,fire blanket,aprons,suits,welding blanket,coated & uncoated fabrics made of asbestos,non asbestos material like glass fiber,cermaic fiber & silica. 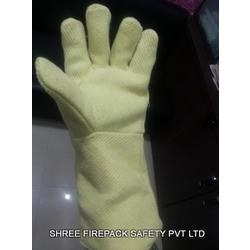 Shree firepack safety pvt ltd specializes in offering qualitative range of Kevlar Protection Glove. Also our range of product include like yarn, ropes,cloth,webbing tapes,fire blanket,aprons,suits,welding blanket,coated & uncoated fabrics made of asbestos,non asbestos material like glass fiber,cermaic fiber & silica. We are a prominent Welding Gloves manufacturer and supplier based in India. 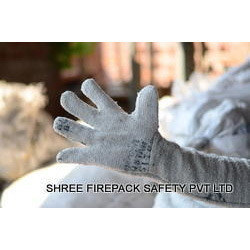 Shree firepack safety pvt ltd specializes in offering qualitative range of Welding Gloves. Also our range of product include like yarn, ropes,cloth,webbing tapes,fire blanket,aprons,suits,welding blanket,coated & uncoated fabrics made of asbestos,non asbestos material like glass fiber,cermaic fiber & silica. Looking for Safety Products I ?